I've been stubborn when it comes to weather changes lately. It's been drizzling and the air is chillier than usual. So instead of whipping out my scarves, tights, and coats this past Monday, I whipped out my shorts. Mother nature can't stop me (until I get sick). At least I'm wearing a cozy sweater! Pulling on this sweater always reminds me of the holidays which is my favorite part of the transition from fall to winter. There's Halloween, Thanksgiving, Christmas, and most of my friends have their birthdays during this time of year (including me)! Now my biggest mission is saving money during this usually expensive time period. I love those shorts. These pictures are so lovely. LOVE. Seriously. I can't pull off just a pair of shorts and a sweater anymore... Especially when I go to school on a mountain and live on another! P.S. Those booties? Yes please. Love the sweater & shorts combo! And those shorts are so perfect for this outfit! I love the outfit even just from the snippets! 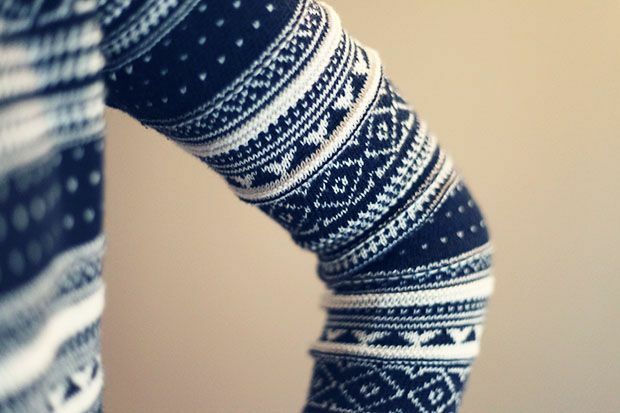 The cozy sweater with the bow shorts are too cute, and you are just adorable! Hope you're having a beautiful day! I love those booties and they're extra cute paired with shorts! Cool outfit! Great colors. I think Gabriella Rocha is one of the top sellers on Zappos...they should sponsor your blog! It's supposed to be cold here, but I find it still nice. Monday was the hottest October day ever! Around 17 degrees C! Can you believe that? I love the sweater with shorts look! I have those shorts and LOVE THEM! LOVE those shorts, and that top, and those ankle boots...SO cute! Those shorts! Too lovely. But so cold! You are brave! I want to steal your shorts! That little bow is so perfect :) I'm with you about it being the best time of the year. Have you already revealed your Halloween costume? I love your outfit completely! You are making me anxious for Christmas as these colors scream winter! 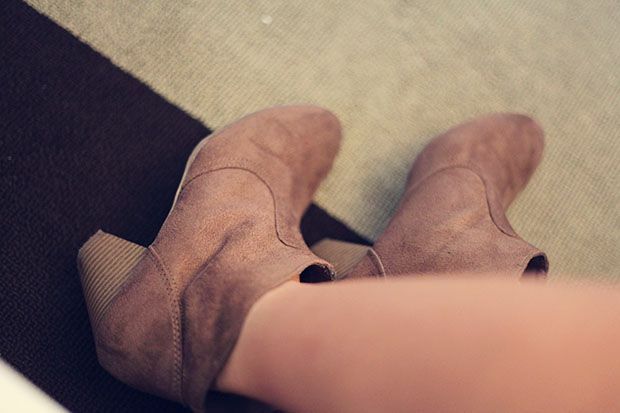 Those are the perfect little booties as well! i like this format at as alternative to your usual outfit posts ^_^ and i like the outfit. those shorts are cute. Such beautiful photoshoot! I love your original and beautiful photos! And your outfit is so chic and stylish, I love it! but can you believe it's going to be 70 degrees this weekend? what's up with that! When is your birthday? Happy early birthday to you!